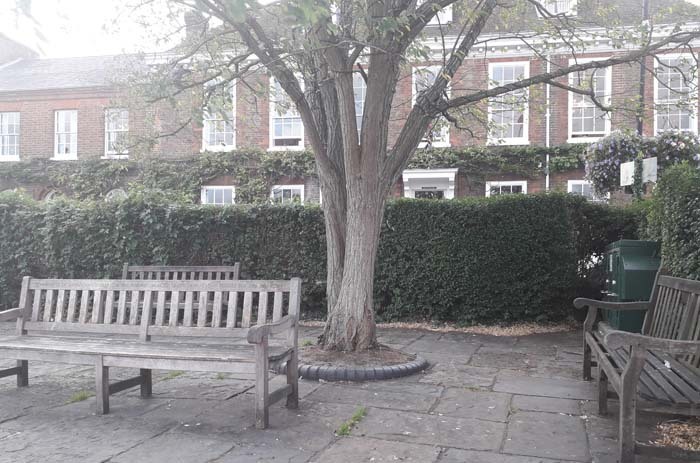 After debating about what should be done about the problem with rats in the hedge at Singers Park (next to Angel on the Bridge pub) for three months, Councillors at Henley Town Council finally voted at last week’s Full Council meeting to replace the hedge. Henley Town Council have been trying to resolve the problem of rats over the last 18 months with the help of pest controllers but without success. The existing hedge will be replaced with a beech hedge with clear stem hedging and wire mesh and below hard scalpings will be put down as ground cover which will hopefully stop the rats from using it for cover and help prevent them nesting in the soil. Fragrant planting will also be used in the exposed soil areas such as Lavender which rats do not like. Full Council gave the responsibility of the final design to be agreed by the Town Clerk, Councillor Kellie Hinton (Chair of the Recreations & Amenities) and Councillor David Eggleton (Chair of the Henley in Bloom).